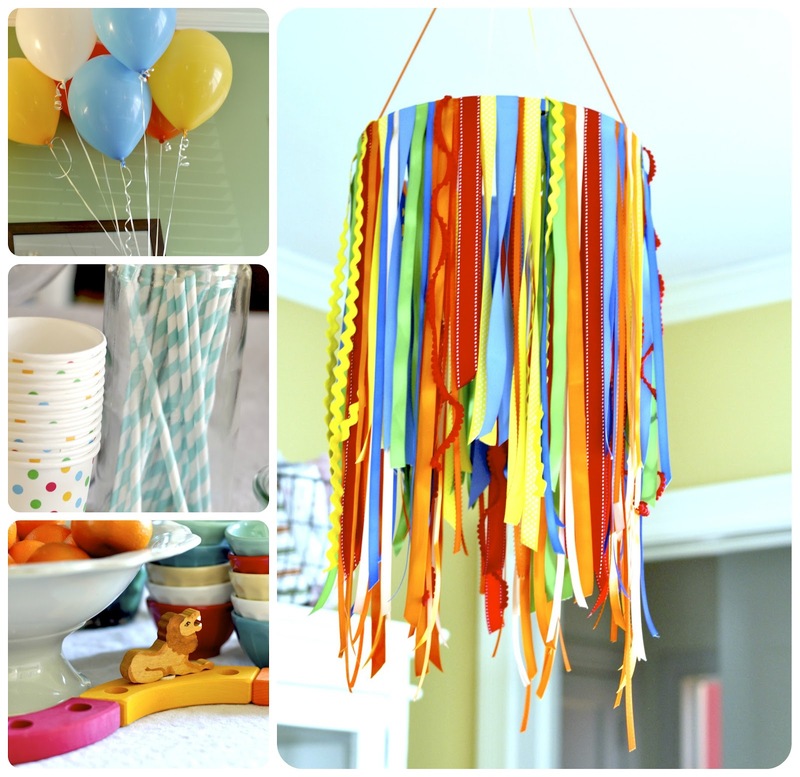 To celebrate Merritt's first year, and to kick off the beginning of a brand new one, we threw him a birthday party themed with lots of color, hearts, and lions. I made a few special decorations, like the cupcake toppers that I posted about here, and a zany mobile of ribbon (below). I tossed together a french potato salad, a superb quiche Lorraine with a towering crust and a perfect center, and also tried a new recipe for red velvet cupcakes with cream cheese frosting. We sipped our beer and soda from fun paper straws, and savored the classic combo of homemade whipped cream and berries from cheerful mini bowls. It was all very pretty, and Merritt's guests were pleased. Roscoe vividly remembers his two year birthday party and is cognizant of the proper components necessary for throwing such an event. He had a tough time accepting that this party was not for him and wailed at me several times in a manner that conveyed his genuine hurt, "I'm sooo disappointed!" We did our best to share the love and the fun between both boys, and when the day was over I reminded Roscoe that his birthday was up next (in May) and together we decided on an ice cream social theme, which lifted his spirits tremendously. 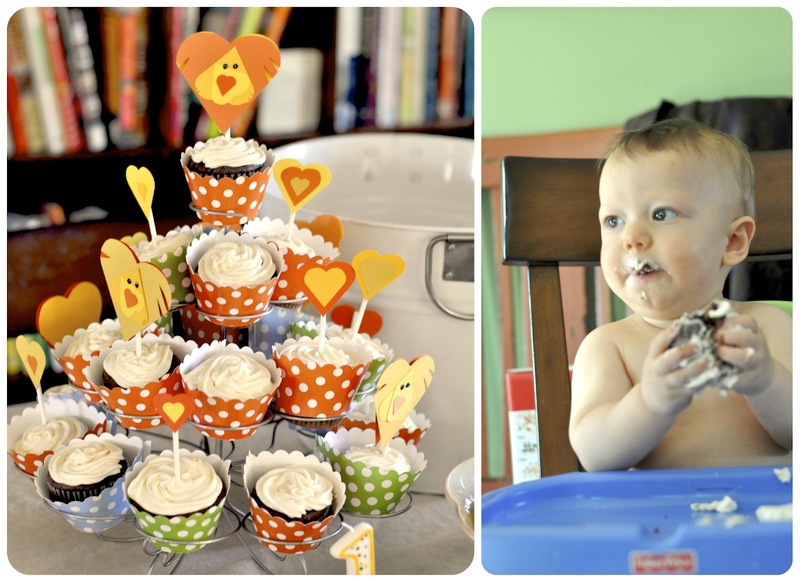 As for the birthday boy, besides the opportunity to devour his birthday cupcake (he ate the entire thing! ), he seemed none the wiser that all of this was for him. Roscoe heartily took to the task of opening all of Merritt's gifts for him, and Merritt didn't seem to mind one bit. 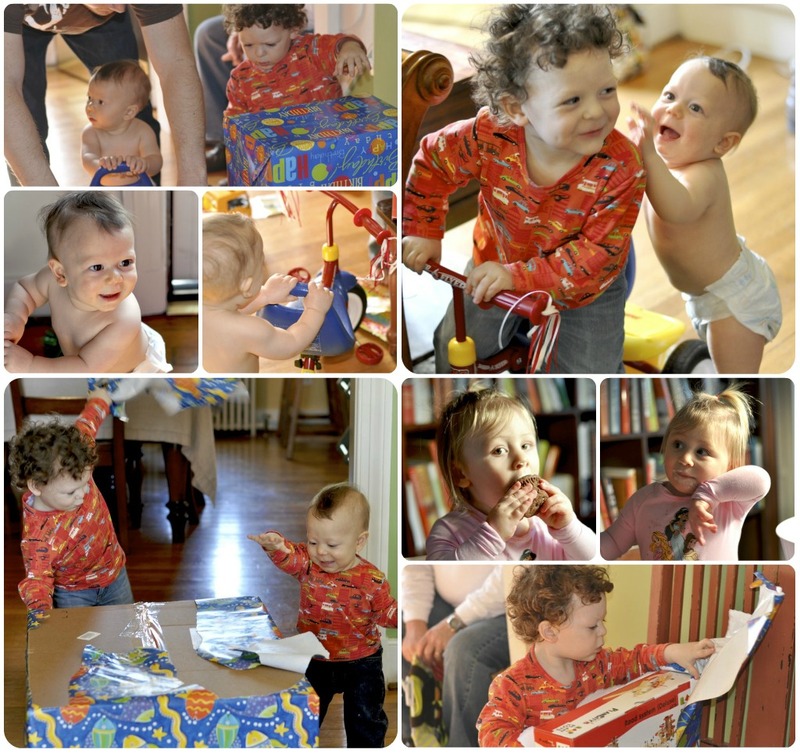 Fun fact: For the next three months, when people ask, I get to point out that my boys are 1 and 2!! Those lion toppers have been on my mind since your original post ; really adorable. I'm so hungry after reading the menu. Sounds delish! Looks like it was such a fun party. I LOVE all the party decor. Great mix of colors! Dp: yes! That was my goal this time too. I tried to keep things simple but of course, I messed up the quiche crust the first time I made it, so I had to make it twice, but otherwise it was all pretty quick to put together. Happy 4th to your little girl! Mitzi: Same spread as us! I think it makes me feel better now that they really are 1 and 2, because it sort of justifies all on its own why I feel a little frazzled!